Institute of Philosophy of Scientific and Technological Practice and Laboratory of Developmental Neuroscience, Università Campus Bio-Medico di Roma. 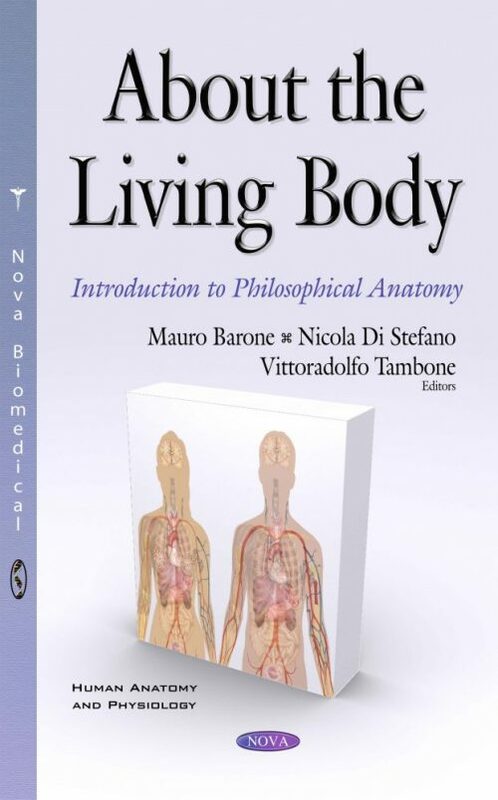 The anatomical description of the human body outlines its morphology, answering mainly the question of “how it works”. Therefore, a detailed layout is displayed on the anatomical board, where every element is analyzed thoroughly. A description of the body as such does not trace the real body: the unity of the corporeal reality is closely connected with the entirety of the person, whose body is in the necessary condition to be able to carry out actions which are peculiar to it. As the reality of the body is to be an acting body, then a description that captures the real physical entity in its fullness must go through the acts that the subject does with his own body, which is always living a symbolic, intentional and emotional at lifestyle. In this volume, we present the first version of the “philosophical” anatomy of the body, which outlines through a survey the intentional acts of humans, or the true reality of man and his body. From this new perspective, the unity and entirety of the body are highlighted: the body is what a person has to feed, what makes someone play sports and music, dance, pray, work, and what allows me to carry out all those actions which make someone feel realized as a person. This new conceptual approach brings us on a phenomenological level when describing this data, and thus the acts of the living body. A new perspective, from which the corporeality takes shape as a living entity, and not as a set of substance and accidents, or an aggregate of organs, or a transcendent spiritual unity. Audience: Medical students, Bioethicists, philosophers, plastic surgerons.